Brian Tracy is a famous motivational speaker and also an entrepreneur, one of his best-selling books is none other than Eat That Frog. I believe that you have heard about him or seen any of his books in the bookstore, or maybe you even own some of his books. When it comes to time management and being productive, Tracy is the person we all should learn from. I have a couple of his books, including The Ultimate Goals Program, Eat That Frog, Maximum Achievement, No Excuses, and more. And the one book that I reread over and over again is Eat That Frog. It is a relatively thin book, but it contains a lot of powerful and amazing insights about being productive and how to use time more effectively. In today’s article, we’re going to talk about the 10 time management tips you can learn from Brian Tracy. Of course, there are much more than just ten, but I’ve summarized and included these ten here for your reference. If you want to learn more about time management and how to become more productive and get the most out of your work and life, read his book, Eat That Frog, and consider getting his course, Power Productivity. Before you can become effective and use the most of your time, the one thing you need to do is to define your definiteness of purpose. In other words, you should discover your purpose. What do you want to do? When you have no idea what to do, how can you tell if you are being productive and are doing the right thing? What are your goals and what do you want to achieve in your life? 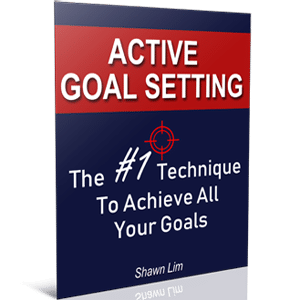 When you don’t have a goal, how can you know if you are moving in the right direction and if what you do will get you closer or farther away from what you want? Therefore, the most fundamental principle of time management is to discover your definiteness of purpose. Clarity is the most important concept in personal productivity. The reason people are able to become effective, get the most out of their life and do it in an efficient manner is that they have a strong clarity for what they want. They have clear goals and objectives in their head. Think about it, when you have no idea what to do on the weekend, how will you spend your weekend? For most people, they wake up late, they spend hours watching YouTube and TV, and then they play games on their phones and also waste a lot of time into checking updates on social media. You may think that this is normal because this is how the weekend is supposed to be. Let me tell you this, you will change your mind once you have discovered your purpose and are absolutely clear about it. If this describes your life right now, you should change and live in the proactive mode instead. And the first step to do so is to take control of your life. And you can only take control when you have a clear purpose in life. This is why Napoleon Hill said that you must live with definiteness of purpose in order to achieve outstanding success. When you know what you want to achieve in every area of your life, you can then formulate a plan and manage your activities to get there. This is how time management starts and how you can better manage your life. So find out what you want to accomplish and be clear about your purpose if you want to be productive and get more done. I know that you have heard this many times, but are you doing it? The problem is that a lot of people read and learn something from books and articles or videos, but they never really implement what they have learned. Never let this happen to you. Before you get to bed tonight, write down the things that you need to get done tomorrow. If you have been doing this, congratulations, you are doing much better than most people who do not. And if planning is not part of your habit, make sure you adopt and make it your habit, starting tonight. Get yourself a notebook so that you can write down all the tasks you need to get done. The one who manages his daily activities will eventually manage his life. The billionaire entrepreneur, Richard Branson, says that he takes note and brings his notebook with him wherever he goes. He even published an article about why everyone should take note on his blog. You can read it here. Not only that, he also writes down his to-do list too, and he even credits most of his successes to his habit of writing the to-do lists. You can read it here. If the billionaire Branson thinks that taking notes is important and planning in advance is the key to his success, don’t you think there’s something for you to learn as well? Therefore, plan your day in advance. You have not done it before, start doing it tonight. You don’t have to waste time thinking or planning about what to do when the time comes. Once you have prepared and knew what to do, you can hit the ground running and get ahead of all those who do not do so. Being productive and effective is not about doing the most work or getting the most done, but it is about doing the right thing to produce the most result. A lot of people mistaken and thought that being productive and managing time is about doing more, it is actually the other way round. You want to focus on the few important tasks that give you the most result, not just doing whatever that comes to you. Over the years, I have learned that all the actions you take are not created equal. Some actions will give you the most result while others will just make your time go wasted. Thus, you must identify the most important tasks that will give you the most results, and focus on doing them. This is why it is called the 80/20 Rule, or the Pareto’s Principle. You may have heard about it, but it is only powerful when you apply it to every area of your life, especially in your career and business. You see, most people just want to get things done in the fastest manner so that they can work on other things. But this is not how the highly successful operate. Highly successful people believe in doing the most important job, and they delegate or outsource less impactful work to others. Think about it, everyone has 24 hours in this world, including you, me, Bill Gates, etc. And how we use those 24 hours are what separate us from the results we get in life. No matter how much time you have, if you continue to work on the low-impact task, you will never get much of the result. Instead, when you focus and complete the high-impact task, you will have the most results and still able to have free time to enjoy your life. Hence, be effective and do what matters most to you. What are the 20% works that will give you the 80% results? Who are the 20% clients that will give you 80% of your business’ profits? Focus on those tasks and get the most out of your life right now. If your to-do list has ten items, identify the vital few that are the most impactful to your life, and work on them first. One of the most important time management lessons one can learn from Brian Tracy is none other than his famous “eat the biggest frog” first principle. Take a look at your to-do list, out of all your tasks in the list, which one has the biggest impact towards your goal? And do that the first thing when you start your day. While this is a simple-to-understand concept of productivity, most people do not apply this principle and they just do whatever that comes to them. They did write down the tasks and create a to-do list, but the majority of them did not apply this principle to their list. You have to do the high-impact task first before you go on to do the rest of the tasks on your list. This is extremely important because our time is limited. And you want to spend your time doing what is most impactful rather than doing things that have low or no impact in your life. Highly successful people understand this, and this is why they create companies, hire people to do the low-impact works, and so they can focus on doing the most important part of the business. And you have to practice doing the same. Regardless of whether you are working for someone or if you are running your own business, doing the most important work is always the first thing you need to do when you start your work. Once you have got your most important and biggest task done, you feel lighter, the pressure is not there anymore, and you will gain more confidence to go through the rest of the day. More importantly, you will also feel fulfilled and extremely satisfied because you have accomplished the biggest task of the day. Another tip you can learn from Brian Tracy is to build a bunker to prevent distractions. Try to keep your phone away from you or switch it off to avoid distractions. Phones have become one of the biggest distractions these days. There are just so many notifications and instant messaging apps that will buzz you and request a piece of your attention. Whenever you are focusing on doing your work and you get distracted, it interrupted the flow and when you get back to your work, you may find it difficult to find where you have left. If you have an office room, lock yourself in so that you can concentrate on doing your work. You can also put a “Do not disturb” sign at your door. I believe your colleagues will understand that you just want to focus and get things done. When you work on your computer and if you do not need the internet, just disconnect yourself from it. When things are too convenient, you may end up wasting too much time on unnecessary websites like YouTube or Facebook. You may not know, but when you realized, you have already spent half an hour there. It happens to me a lot, and so whenever I write, I make sure I concentrate on my writing until I finished the part that I aimed to get done. No internet during writing, unless I need it to do the research. So build a bunker for yourself. Create a personal space where you can focus on your work. If you are serious about achieving great results in life and are serious about your goals, this is what you need to do. This may seem like an ordinary idea, but doing so will greatly increase your effectiveness and allow you to get more done in less time. For example, usually, I check emails twice a day; once in the morning and once in the afternoon. Other than that, I do not check or reply any email. By doing so, I’m batching my work and this actually saves me a lot of time. Here’s another great example. As a blogger, whenever I created article ideas and titles about what to write and publish, I will do it once every early in the month. I will come up with about 10 article ideas and do the necessary keyword research at the same time. Rather than coming up with article idea each day when I want to write the article, I prepared all the article ideas at one go. And the rest of the day I can just focus on writing the article and not having to think about what to write anymore. Therefore, find out similar tasks where you can batch together and do them together. When you keep everything organized, you can better manage your time and become more effective. Just like a professional chef cleans up the kitchen before and after the cooking, you should do the same to your workplace and also your home. Try to spend a little time during the weekend or in the evening to organize your desktop and workstation. Put all your documents in the appropriate folder, both physical and online. Keep your computer desktop clean and so with your workstation. When things are organized and in place, it saves you a lot of time to kick-start your work without wasting time to look for your documents or necessary work files. The concept is the same as creating your to-do list. When everything is well-prepared, you are able to get the work done in a more efficient manner. Having a to-do list and an organized workplace give you clarity and enable you to jump straight into your task. Imagine checking in a hotel where the room is disorganized, how do you feel? And what if the room is well organized and everything is clean? It affects your mood a lot, right? So what if your workplace is a mess? Do you think it will affect your mood as well? You know the answer. If there is just one thing to learn about being productive, it is this – focus on doing only one thing, which is the most important thing. Multitasking is a lie. Multitasking only slows down your work and decreases your productivity. If you don’t believe this, try to write and talk to someone at the same time, and you will discover that it is impossible to do both simultaneously. When you write, you will stop talking. And when you talk to someone, your hands will stop writing. This is because our brains can only focus on doing just one thing at a time. And when you try to do a couple of things all at the same time, your brain will switch from one task to another. It does not focus on both tasks, but rather, it jumps from one to another, back and forth. This is why multitasking is not going to work, especially for work that requires your creativity and attention. I write a lot using my computer. And there are many days when I will play soft background music and do the writing at the same time. I found that when I’m 100% focused on my writing, the background music did not matter because my brain focused solely on writing. However, if I play songs (with lyrics) rather than soft background music, things will be totally different. I discovered that my mind will want to focus on the song and sing along. The song takes my attention away and makes me less productive. Hence, when you are doing work that requires a lot of your attention, do not multitask. But if the work is physical and does not require much of your brain power such as washing the dishes or mopping the floor, yes, you can try to multitask such as listening to your favorite songs while doing the work. In his book, Eat That Frog, there is an entire section dedicated to this rule. Brian Tracy says that most people can only accomplish about three tasks within a day. You can write down 10 or 20 things that you want to do during the day, but by the end of the day, most likely you will only accomplish about 3 of them. Therefore, he suggests the Rule of Three, where you identify your three most important tasks and focus on doing them. What about the other tasks? Well, Tracy says that most of the results you are getting are because of these three tasks. Remember the 80/20 Rule? This is what he means. Yes, you can have a list of 20 tasks to do in a day, but you have to understand that all the tasks are not created equal and the results you are getting from completing each task will be different too. So, you have to focus on doing the most important, and highly likely, you can only accomplish three tasks in a day. Thus, identify the three most important tasks that you need to get done each day and focus yourself on accomplishing them. The rest, you can delegate, outsource, or eliminate. Most people thought that being productive is all about getting more things done and working harder. In fact, it is the total opposite. Being productive is about working less and accomplishing more. And one of the most important keys to achieving this is to maximize your personal power, which means you have to have enough rest to have the energy to go further and produce quality work. Productivity is about managing your energy. When you are energetic and fresh, you are able to accomplish more and produce better work. Hence, get enough sleep and make sure you eat healthily. And what’s more, go for exercise and live an active lifestyle. There are plenty of health and mental benefits you can get from regular exercise. There is no point to work long hours when you are feeling tired, exhausted, sleepy, and can’t concentrate on your work. You will only deliver low-quality job when you don’t have the energy. On the other hand, when you are fresh and energetic, you can focus and perform better, and you are able to deliver top-quality work that truly counts. Please understand that you cannot manage your time, you can only manage yourself. No matter how good you are, there are only 24 hours a day to manage. And the better way to do so is to manage yourself by doing what matters most and deliver quality work that impact your life the most. If you want to learn more about time management and boosting your personal productivity, I suggest you register and learn directly from the expert, Brian Tracy himself. He is giving away a webinar training for free. In the 45 minutes training, you will discover the only 6 things that Tracy recommends for achieving more in life, without adding any additional unnecessary workload to your day. Not only that, Tracy also discloses some of the rules that he relies on to become a powerhouse of productivity. You can register for the webinar training here. Discover your definiteness of purpose and be absolutely clear about what you want in life. Plan your day in advance. Planning is bringing the future into the present so that you can do something about it now. Apply the 80/20 Rule to everything in your life. This is where you get to produce the most result with the least effort. Eat the biggest frog first. Start your day by tackling the most important work first. Build a bunker and prevent distractions so that you can fully focus on your work. Batching. Use batching to accomplish similar tasks to save your time and effort. Organize your workplace and life. You can accomplish more when there are no “messes” in your path. Focus and do just one thing at a time. This is especially true for work that requires your brain power and attention. Use the Rule of Three. Whatever you do, make sure you act on your “big three” each day. Maximize your personal power by getting enough sleep and living a healthy lifestyle, which includes exercise. Follow these 10 time management and productivity tips and you will be able to make the most out of your life. By the way, don’t forget to register for the webinar training from Brian Tracy, it is free.